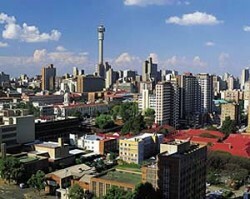 Johannesburg also known as Jozi, Jo’burg or eGoli (city of gold), is the largest city in South Africa, by population. The city is one of the 50 largest metropolitan areas in the world, and is also the world’s largest city not situated on a river, lake, or coastline. It is a city of indulgence and cultural extremes. 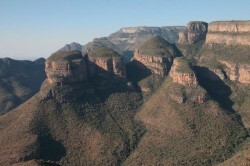 Mpumalanga formerly known as the Eastern Transvaal, is one of South Africa’s top tourist destinations. Aptly know as “Paradise Country”, few regions in the world can match the extraordinary beauty of the Mpumalanga Lowveld and escarpment. Kruger National Park is one of the most popular game parks in the world. Kruger Park is home to 336 different species of trees, 49 fish, 114 reptiles, 507 birds and 147 mammals. Visitors can see the ‘Big 5’ – elephant, rhino, buffalo, lion and leopard – in their natural environment. DAY 1: Johannesburg city and recent history of SA : you’ll be met at Oliver Thambo International Airport for a coach tour through the city centre of Johannesburg to the Apartheid Museum for an overview of recent SA history. Then onto Soweto, SA’s largest ‘township’ for a tour and cultural experience. Book into 3 – 4 star accommodation. DAY 2: Outside Johannesburg for ancient history and lions : visit the Cradle of Humankind – where scientists say it all began. Tour of the Sterkfontein Caves where ‘Mrs Ples’ and ‘Little Foot’ were discovered and Maropeng, Setswana for ‘returning to the place of origin’, for a hands on experience of what it means to be human. Late afternoon visit to The Johannesburg Lion Park where one can hold lion cubs and learn about ‘The King of the Jungle’. DAY 3: Johannesburg outreach : spend the morning in an outreach project such as Habitat for Humanity, helping out at pre-schools, helping with literacy in primary schools, soccer outreach, caring for babies and toddlers at an HIV clinic. Next stop gold mining, drive past mine dumps to the theme park Gold Reef City for screams, thrills and rides on numerous rollercoasters and an opportunity to go down a gold mine. DAY 4: Magaliesberg and Sun City : morning scenic drive to Magaliesberg, experience the exhilarating Canopy Tour swinging through the forest’s tree tops. Next stop Sun City, which is a huge resort with its own unique African rhythm, located in an ancient volcanic crater 1,5 h from Johannesburg. It is made up of numerous hotels, the ‘Palace of the Lost City’, golf courses, Pilanesberg Nature Reserve and theme parks. Enjoy an afternoon of water rides and body boarding at the Valley of the Waves. Evening special at Moyo restaurant to feast on numerous traditional African dishes whilst being entertained by African dancers and drumming. DAY 5: Blyde River Canyon for majestic vistas : picked up from Johannesburg hotel for a 4 – 5 hour overland trip to the panoramic views of the Drakensberg and Mpumalanga Province. Afternoon spend looking out over ‘God’s Window’, Blyde River Canyon – the 3rd largest canyon in the world and visiting the extraordinary Bourke’s Luck Potholes – natural water feature of cylindrical potholes gouged into the bedrock of the river. Book into a campsite and learn to pitch a tent and how to cook outdoors. 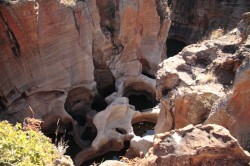 DAY 6: Outdoors in the Blyde River Reserve : start the day with a guided boat ride on the Blyde River dam which is at the mouth of the canyon to view the spectacular Tufa Waterfall and gigantic Three Rondavels towering above the dam. The rest of the day is packed with outdoor activities with Blyde River Adventures that include a guided hike to a waterfall, tubing on the river as an introduction to white water rafting, water slides and removal of ‘alien’ vegetation. Evening potjiekos competition (outdoor cooking in a cast iron pot – a SA tradition). DAY 7: Animal Rehabilitation and Kruger Park : visit the Moholoholo Rehabilitation Centre (‘the very great one’) in Hoedspruit. The centre is a haven for rehabilitation and care of abandoned, injured and poisoned wildlife. Learn about the plight of the rhino in South Africa. 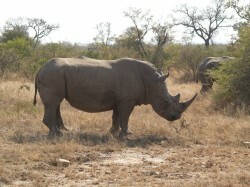 About 448 rhinos were poached in South Africa in 2011 for their horns. What is being done to stop this? Is it enough? What is our role in saving endangered wildlife? Afternoon travel to Kruger National Park, the flagship of SA parks and reserves. Settle into one of the electrified rest camps, pitching your tent and making use of the rest camps facilities. 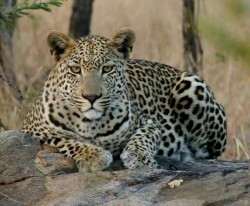 DAY 8: African wildlife + the BIG 5 : morning and afternoon guided game drives searching for the ‘Big 5’ and other mammals. Learn about each species and how it has adapted to its environment. These game drives will be through a variety of ecozomes each with their own vegetation that attracted different animals and birds. Evening game drive in special open game driving vehicles, to spot the nocturnal animals of the bushveld. 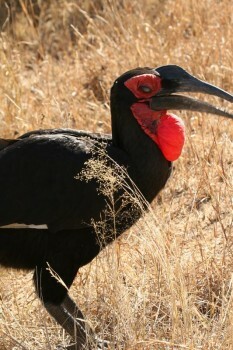 DAY 9: Birding and game driving : learn how to do ‘birding’ using binoculars and a field guide bird book. Game drive to different bird hides in the park to practise ones skill. Whilst game driving also look out for the animals not yet ticked off the Kruger Park animal observation list. Evening braai (barbecue) and camp fire stories. Opportunity for reflection and reminiscing around the camp fire under the southern night sky. DAY 10: Kruger to Johannesburg : wake up leisurely, enjoy a hearty breakfast before packing up camp and piling into the overland trucks for the journey back to Johannesburg. Stop en route for lunch and then on to Oliver Thambo International Airport for connecting evening flight back home filled with laughter, a suntan, African curios, changed attitudes and values and memories for a life time. Let the children see and experience the cultural diversity of a large metropolitan area in SA. Look at the affects of Apartheid and the steps taken to move forward democratically. 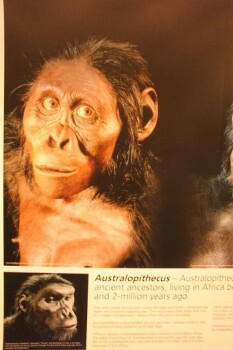 Study the origins of humans in Southern Africa and steps forward in civilization. Reach out to the poor and marginalized, showing empathy for those who survive with very little and appreciation for what we have. Look at the rehabilitation of animals and the plight of the rhino. Teach the children about our role in conservation and ‘being good stewards’ of our environment. Let the children see and experience the diversity of the African ‘bush’. Allows the children to experience and evaluate ecotourism as a growing industry. Explore the role of nature reserves in the world today. Study the fauna and flora of the African Lowveld. Experience the smells, sights and sounds of the animals during the day and at night. Build camaraderie with peers through adventure and fun activities. Introduce the urban child to camping and learning to manage themselves and their possessions. Complete worksheets for each day’s itinerary with the purpose of teaching and learning. Julie Womack is a qualified South African primary school teacher with 29 years teaching experience. She has organised and led more than 10 school tours to Cape Town, the Garden Route and Kruger National Park. She is offering her services to help you with your Outdoor Education Programme by organising a trip for your class. She is also available to go with you on the tour and do the tour guiding and managing. Tour Journal : As an optional part of the tour, each child will need a 10p flip file or equivalent, to store the ± 15 worksheets that cover every place visited. Costs : The cost will depend on the number of children and adults. The cost will include all bookings, all meals, 3 – 4 star shared accommodation, tents and camping equipment, entrance fees, conservation fees, guiding fees at the different venues, luxury coach with seatbelts, driver’s costs, overland truck, fuel, tolls, pro rata costs of the teachers, full time All Africa Tours guide and master copies of all the worksheets. The price will exclude flights to Johannesburg, travel and medical insurances, visas, tips and gratuities. 1. There must be at least one teacher per 18 children. 2. The teachers are responsible for their pupils on the bus, at the different places, restaurants and at night until the children are asleep. 3. The children must supply their own 10p flip file or equivalent. 4. Each person is to supply their own sleeping bag and small pillow. 5. The worksheets need to be rolled off by the school at least 10 days before the trip as they include the final itinerary and a list informing the children what to bring on the tour. These will be emailed to you a month before the tour begins. 6. Ever child’s parents will be required to fill in an indemnity form and an emergency form with contact details. This will be emailed to you a month in advance. 7. The school needs to supply a comprehensive First Aid kit to accompany the children on tour and to have obtained written permission from the parents for the teachers to administer non- prescriptive medicines. A list of recommended medicines is available. 8. Part of this tour is in a Malaria area so prophylaxes are recommended. 9. If Julie is required to accompany the trip, the teachers are to take full responsibility for the behaviour of the children especially at night. 10.There is a 25% deposit upon confirmation to secure all bookings, 100% of Kruger Park bookings and the rest of the payment 31 days before departure.